Ziggy Stardust and the Spiders From Mars will be shown for the first time at the venue where Bowie's iconic 1973 show took place. David Bowie's concert film, Ziggy Stardust and the Spiders From Mars, is set to be screened on 16 February at the Hammersmith Eventim Apollo-the very venue the gig took place. 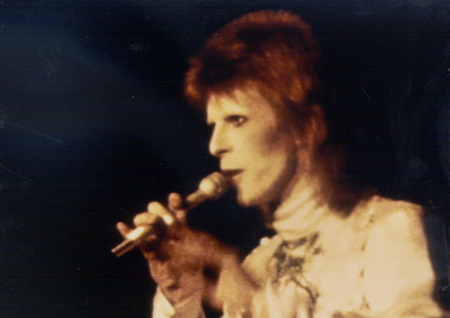 The 1973 documentary by D. A. Pennebaker captures the late rock star and his band on 3 July 1973 at the then-named Hammersmith Odeon, where Bowie appeared as Ziggy Stardust for the last time. It was this night that Bowie surprised both the crowd and his band by declaring: "It's the last show that we'll ever do". Only after the iconic gig was it understood that he was leaving his successful alter-ego behind. The celebration - brought to you by Sound & Vision Festival and Kennedy Street Presents - also confirms appearances from personal friends of Bowie, with The Smoking Guns and Animal Noise set to perform.